Many of these trails sell out in a heartbeat, but none as quickly as there summer expedition – Gincident. Gincident offers all of the above list minus the bars. Reason why? The setting comes in the form of a canal barge. And from the name, gin is the choice of tipple. So, add 25 people to a barge with 5 brands of gin and what was described as a botanical feast of food and what do you get? Myself wanting to get onto the next trail immediately. Role on trail number 13! But how have I come to this conclusion? Greeted by L.S. Lowry (the boat, not the artist) of City Centre Cruises at Castlefield Locks, the expanded Liquorists line-up were on hand to walk us safely aboard. Jamie Jones of pop-up Manchester bars fame The Yacht Club and Moose Bar amongst others, was to play host, with Craig MacDonald his trusty side-kick. Not forgetting original Liquorists member Jody Monteith was to be on hand to create us our five gin based cocktails on the boats very own bar. Once on our merry way towards Salford Quays, the aforementioned botanical feast was served, all cooked and created by chef Hannah Eddleston. With dishes that included cured salmon with dill, spiced ham hock with juniper and cous cous, spicy chicken drumsticks on white bean salad and a savoury strawberry salad with feta cheese. Using inspiration from not only the gin brands of the evening, but the botanicals within them, Hannah served up a treat that from looking around the boat, left many an empty plate. Same could be said for our welcome drink – a round of G’Vine Nouaison and Fever Tree tonics for us all. Jamie Jones, who this year has won one of the worlds premier gin competitions – the G’Vine Gin Connoisseurs Programme, is the right man to talk to us all about gin itself, its history and how gin is created. I’m not going to go into detail about gin itself, that you can find by clicking on each brand that was available on the evening. Whilst Jamie was talking all things gin, Craig dished out neat samples of Bols Genever, Pymouth and G’Vine Floraison for us all to try. Three completely different styles, with Bols offering the sweeter juniper palate, Plymouth more your usual style gin, and G’Vine the new-age French floral. Plymouth was the tipple of choice for The Liquorists first cocktail offering of the evening – Hogarths Fizz. Combining sugar, lemon juice and camomile with a dusting of nutmeg gave this cocktail a smooth citrus feel with subtle aromas and bursts of freshness. A personal favourite of mine, Martin Millers, was up next, and in true Liquorists pun fashion, the aptly named Messa-gin in a Bottle came within their own green bottle and brown paper bag. Using Martin Millers, home-made kaffir lime juice, orange bitters, jasmine tea and their own ginger beer, it created something rather unique, with huge bold flavours of fresh lime and ginger blending well with the Martin Millers and jasmine tea. One that you didn’t want to end, which is surely a good sign? One gin that I’m very familiar with is Warrington based BLOOM. A brand that I’ve created cocktails for in the past, i was interested to see how The Liquorists would do with their Rosie and Gin (they love their puns). A mixture of BLOOM, strawberry liqueur, lime juice and topped within a jam jar with Fever Tree Elderflower tonic created one of the stronger cocktails of the evening, but more due to its bolder statement. The flavours did mellow as the drink went on, with the BLOOM complimenting the strawberry and lime. Onto the French now, and as most of you know, although I represent this brand here in the UK, I came at the following with an unbiased opinion. G’Vine Nouaison, the stronger out of the two expressions was used as the base gin for the 22nd Century Cocktail. A twist of the original 20th Century Cocktail that was created back in 1937, it came with a blend of G’Vine, lemon juice, crème de cacao white and topped with tonic. In no simpler words, and being a massive chocolate fan, it tasted like chocolate orange in a glass. If your like Dawn French and me, you’ll love this tipple. The last cocktail of the Gincident came again with a twist to not only a recipe, but an award-winning recipe. Jamie Jones offered the gathering his own creation that won him the title of G’Vine Connoisseur as mentioned above. 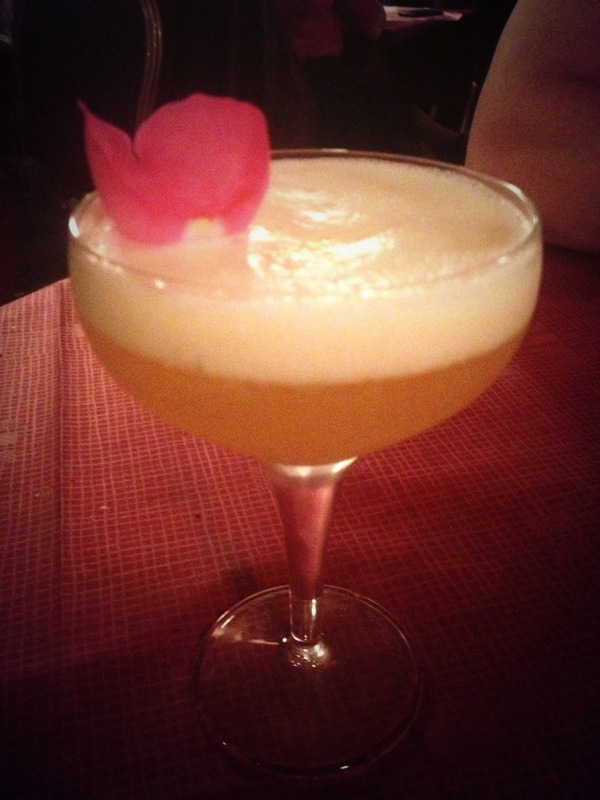 Despite a few changes to his recipe, his La Floraison De’tre gave the finish the night deserved. G’Vine Floraison, egg white, olive oil, lemon juice, apricot liqueur and Fever Tree Sicilian Lemonade with a rose petal to garnish added a touch of sophistication as Salford Quays lit up both the boat and the night sky. 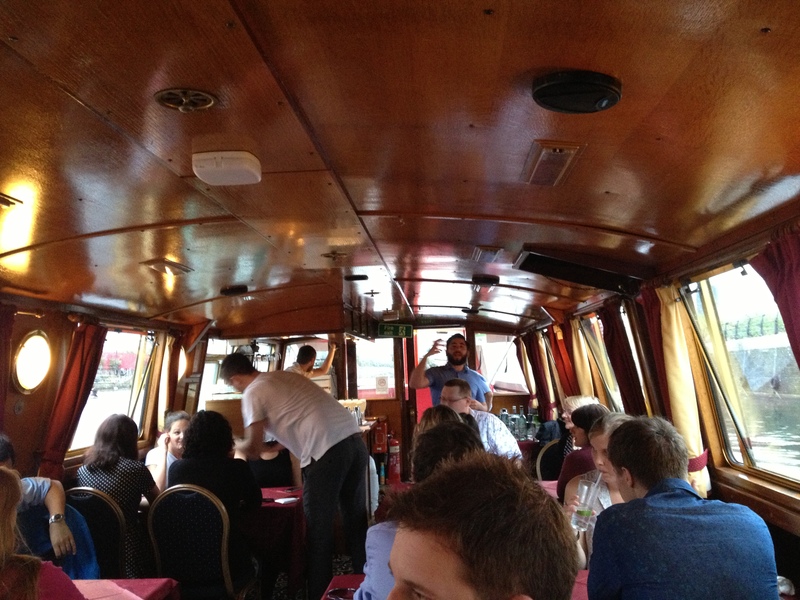 Heading back to Castlefield, The Liquorists made sure we were comfortable, well watered and fed before disembarking the barge for the evening. There tag of #nohangoverguaranteed is 100% correct yet again. Well done guys. 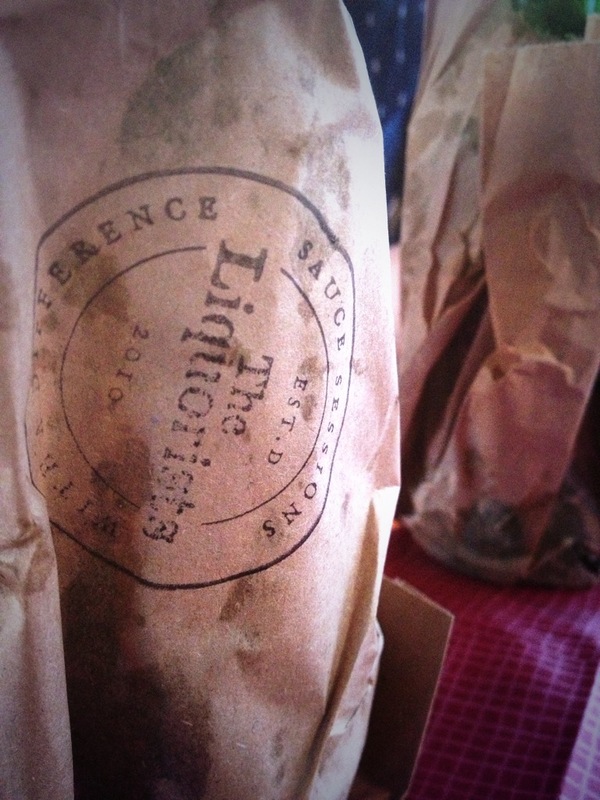 To get yourselves on The Liquorists trails, check them out via there website or twitter. Check out the rest of my photos via my Facebook page.